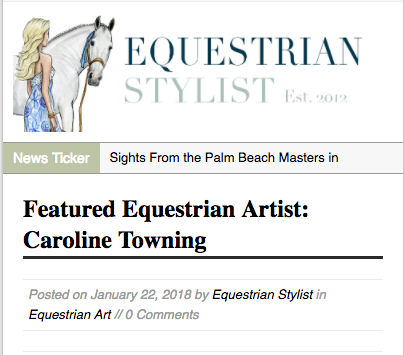 It was really great to get featured in Equestrian Stylist. 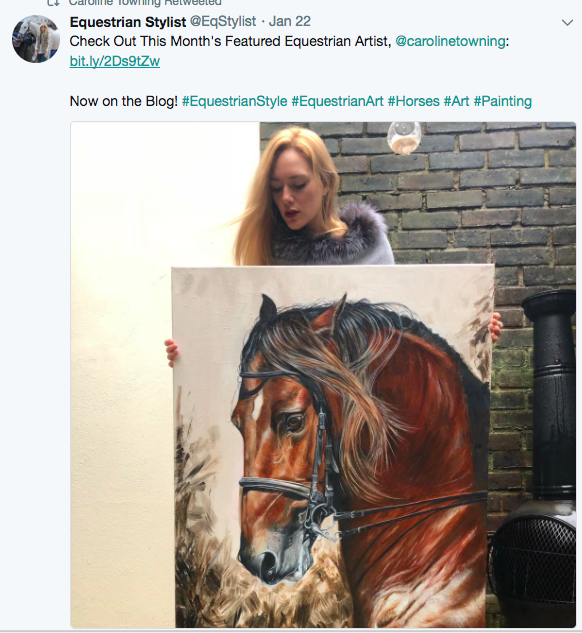 She did a lovely write up about me being an equestrian artist and talking about my most recent horse paintings on canvas. It is always really flattering to have an article about me being a horse painting artist- I felt really honoured. The equestrian stylist is an online equine and travel blog who cover all things to do with fashion, horses, and style. She is based in The United States but travels around to cover really amazing horse events. If you have not yet I would highly recommend having a look at her blog and following her on Instagram. It will make you want to buy a horse just so you can be stylish. I always really enjoy her posts.